The Gross Domestic Product in the United States expanded 2,30 percent in the third quarter of 2017 over the same quarter of the previous year, and President Donald Trump is not satisfied with that. His next action to fix that is to cut the taxes. John F Kennedy was also dissatisfied with economic growth in the early 60s with a growth rate at «only» 2 percent. What he wanted is 4 or five 5 percent growth. Exactly what Mr Trump want, but what happened to Kennedys taxes and is it something to learn? So, automation and new machinery made it difficult in the 60`s? Wow. The labor force in the U.S in 1960 was 70 million. Now, it is more than twice (160,381 million as of October 2017). The unemployment rate under President Trump is 4,1 percent as the number of unemployed persons decreased by 281,000 to 6,5 million in October 2017. The unemployment was 5,2 percent in 1964, but it sooner declined to 3,8 percent later on the same year. It continued to fall to 3, percent in 1969. In other words: JFK`s tax cuts were working, and economic growth creates jobs. Kennedy`s tax cuts were not passed by Congress until his death on February 26, 1964, in the Revenue Act of 1964. Kennedy had the right mindset. Their tax rates was too high and their tax revenues too low. In 1964, the bill reduced the top marginal rate from over 90 percent to 70 percent. Tax revenues increased from $94 billion in 1961 to $153 billion in 1968. Cutting taxes at that time was not to incur a budget deficit, but to achieve the more prosperous, expanding economy which could bring a budget surplus. And it did. After the tax bill, made by President Lyndon B Johnson, real GDP grew at 5,8 percent in 1965, and 6,6 percent in 1966. Lower taxes generated more revenue for Uncle Sam. The concept is very simple but difficult for many to understand. 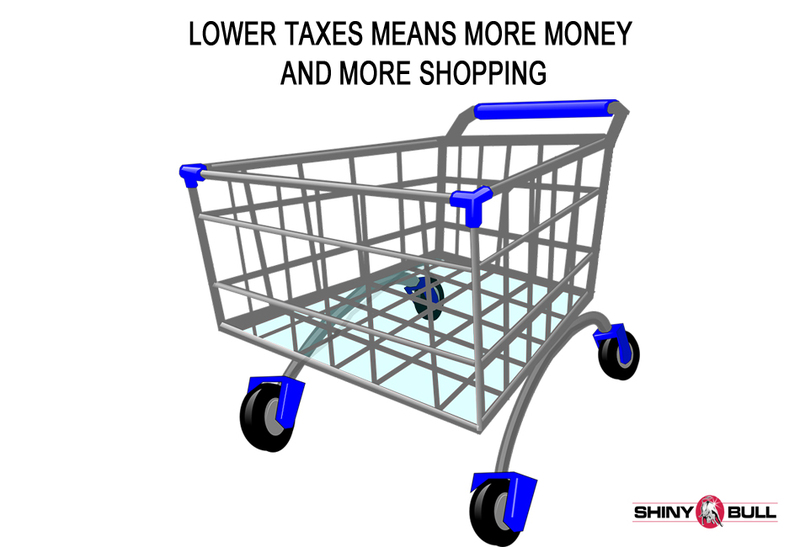 When people have more money, they spend it which means additional tax receipts. Not only that. Lower taxes will reduce risk-taking which is good for the U.S entrepreneurship. You can imagine what entrepreneurs like Steve Jobs, Mark Zuckerberg, Jeff Bezos, Sergei Brin and Elon Musk have added to the growth of the economy using their ideas to create new firms and jobs? What would have happen if they all had taken a new job as an ordinary employee with IBM? The answer is very simple: a slower tech industry. John F Kennedys tax cut model were the model for Reagans. Now, it is time for Mr Trump and it remain to see his model.